Who would have thought in this day in age that we would see a five-loss team in the Granddaddy of them all? I certainly did not but the sanctions handed down to Ohio State and Penn State paved the way for Wisconsin to breeze past the Cornhuskers in the Big Ten Championship en route to their third straight Rose Bowl appearance. On the other side of the ball, Stanford is making their third straight trip to a BCS Bowl and are led by a quarterback not named Andrew Luck. What are the key positions to keep an eye out for in Pasadena? Here are the positional breakdowns for your 2013 Rose Bowl participants. Behind an impressive offensive line and a solid running attack, Hogan has taken a backseat to the credit given to the rest of the offense. After watching the first seven games from the sideline, Hogan replaced Josh Nunes early on against Colorado and never looked back, throwing four consecutive first-half touchdowns in a 48-0 rout of the Buffs. Before Hogan took over, Stanford was 6-2 with road losses against Washington and Notre Dame. 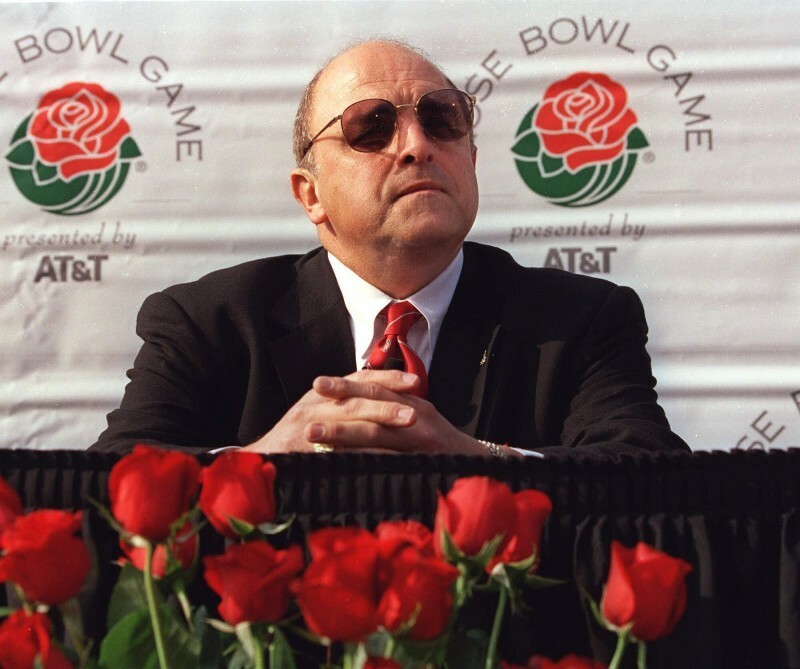 Since then, he is 4-0 – all against ranked teams - lifting the Cardinal to their first Rose Bowl appearance since 2000. “He matured from training camp to about game five. He matured a lot in terms of understanding what we need to do,” head coach David Shaw said during media days this past week. Through his four starts Hogan has completed 97-of-133 passes for 973 yards with nine touchdowns and three interceptions. Statistically, his best game was against the Beavers of Oregon State, as he completed 22/29 for 254 yards and three touchdowns but did throw two interceptions. Most impressively, he led the offense to a game-tying drive against Oregon in his first start – in front of a hostile Eugene crowd - a game they ended up winning in overtime. Hogan can also get out of the pocket and be a threat with his legs, as he has accumulated 269 yards on the ground with two scores. While Hogan has been impressive in his four starts, the Wisconsin secondary has improved dramatically throughout the season and has kept dangerous quarterbacks in check for the most part. However, if the Cardinal offense is able to establish their solid running game, the play action pass will open up and allow Hogan to exploit the UW secondary. Stanford has had a pedigree of great quarterbacks go through their program, most notable John Elway and Andrew Luck but Hogan has done something that those quarterbacks could not do: lead his team to the Rose Bowl. “The way he approaches the game is great and no one is more demanding of Kevin than Kevin,” Shaw said. If Stanford is going to win its first Rose Bowl since 1972, Hogan will have to be a playmaker to take the pressure off of running back Stepfan Taylor. Alvarez has made it publicly known that Curt Phillips will make the start but did not dismiss the situation with Stave being inserted into the game as some point and time during the game. “He's a combo of a Brooks Bollinger and John Stocco,” Alvarez said. You could possibly say that about any Wisconsin quarterback that has stepped foot on campus besides of course Russell Wilson but I tend to agree with his comparison. He has not had to make as many plays with his arm as those aforementioned quarterbacks but he has been a similar game manager and done the things that have been asked of him, even if it is handing the ball off 45-plus times. With an explosive defensive front, Phillips will be called on again to make the key throws on third down and long to keep the defense on their heels and keep the drive alive. I know this seems like I am beating a dead horse but it held true in the Big Ten championship game, as Phillips' number was called sparingly but rose to the occasion when his arm was needed. Depending on the flow of the game, he may be called on to produce more with this arm than ever before. Fans should be confident in his ability, as the Cardinal secondary is less-than-spectacular. Expect to see Phillips throw off play action as Stanford loads the box against the run. Taylor - Stanford’s career rushing leader - has emerged as one of premier backs in the Pac-12 conference and the nation. Like Hogan, he sat behind a Heisman runner-up in Toby Gerhart but his patience and hard work has placed him in the group of other great Stanford running backs. Taylor has been the focal point of the Cardinal offense this season, rushing for 1442 yards - 4.8 yards per carry -and 12 touchdowns. In the marquee games against USC, Notre Dame, Oregon, Oregon State and UCLA, Taylor did not disappoint, surpassing 100 rushing yards in every game. However, in the loss against Washington, the Huskies front-seven kept him in check, only allowing Taylor to amass 75 yards on 21 carries with no scores. Stopping Taylor is critical to Wisconsin winning tomorrow. Le’Veon Bell is a similar back to Taylor. The Badgers were able to shut him down early and often but Taylor is another level above Bell so it will be a whole new challenge for the front-seven. “[The Rose Bowl Game] has always been the goal this season. To get a win would be big for the Cardinal program,” Taylor said. If he runs wild as he did against past marquee opponents, he could lead his team to that big program win. On the flip side, if he is held in check, more pressure will be put on Hogan to produce. When Alvarez left the sidelines in 2005, he left the program with a massive offensive line and plethora of great running backs. Fast forward to 2013 and little has changed, as Alvarez will coach possibly the greatest trio of running backs in program history. Ball, the 2012 Doak Walker Award winner, is obviously the leader of the group but the productivity of White and Gordon in Indianapolis has stood out. With Bielema gone, it will be interesting to see if Canada goes to Gordon on the jet sweep more often to get him out in space. Drew Terrell leads all wide receivers with 31 receptions for 443 yards and 4 touchdowns, the main targets within the Cardinal offense is by far the tight ends. The tight end duo of All-American Zach Ertz and Levine Toilolo have combined for 90 receptions (66 for Ertz, 24 for Toilolo), 1230 yards (837 for Ertz, 393 for Toilolo) and 10 touchdowns (6 for Ertz, 4 for Toilolo). They have 40% of the team's receptions, 47% of the team's receiving yards, and 53% of their receiving touchdowns. Not only will their playmaking abilities pose troubles for the Wisconsin linebackers and secondary but their height is trouble as well as Ertz stands tall at 6'6'' and Toilolo even taller at 6'8''. The containment of these tight ends will start up front, as David Gilbert and Brendan Kelly will need to jam them at the line of scrimmage to throw them off their route even if it is momentarily. Also if Hogan is able to stand in the pocket comfortably, he will have all the time in the world to find his mammoth targets especially in the red zone. “I think we knew all year we had a good defense, it was a matter of our offense proving we were for real,” Ertz said. The Stanford offense is “for real” due to his All-American numbers. 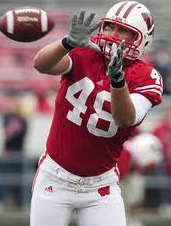 By far, the weakest link of the Badgers offense has been this unit. Abbrederis’ contributions have been inconsistent – at least in part due to injury - and not up to the level that was expected out of him during preseason camp. Nonetheless, Jared Abbrederis' speed is something Canada should take advantage of especially in the play-action pass, which yielded much success early in the season. However, short passes will most likely be the only pass available, which will be no problem for Alvarez as those act as de-facto running plays. The thing that is somewhat concerning is Pederson seems to disappear at critical junctures of the game. If the passing game is going to be effective, Pederson needs to be a reliable target for a full four quarters. Also, don't be surprised to see Sam Arneson and Jordan Frederick involved in the passing game early. Finally, the greatest asset of this group will be their blocking abilities, which has been superb so far this year. The Stanford big uglies up front are not nearly as big as their counterparts but have opened big holes for Taylor and company all season. While they obviously start five offensive lineman, the Cardinal at various points throughout the year have featured as many as eight linemen on the field at once, causing even more headaches for opposing coaches to game plan against. The Cardinal offensive line replaced All-Americans and early round draft picks without skipping a beat, still producing at a high level all season. Comprised of right tackle Cameron Fleming, right guard Kevin Danser, center Sam Schwatzstein, left guard Khalil Wilkes and left tackle David Yankey, this group pulverized opposing defensive fronts, including Oregon's where they paved the way for the running backs to run wild for 200 yards. "We consider our offensive linemen to be playmakers. We want to establish the line of scrimmage,” said Stanford offensive coordinator Pep Hamilton said. Establishing the line of scrimmage will be one of the many keys to victory for Stanford. This unit defines the word massive. Averaging 326 pounds, they paved the way for the Badger ground game. While they will have their hands full with a dynamic defensive line, one statistic stands out to me: 231 of Wisconsin's 400 points have come in 2nd and 4th quarters. That distinctly shows this group gets better and better as the game wears on and defensive linemen grow more and more fatigued. After starting the season in abysmal fashion, Bart Miller has done a tremendous job getting this group back up to par and has performed at a high level ever since. They need to control the line of scrimmage from the get go or Phillips will be knocked around quite a bit. This group is considered the best unit in the country and the naming of Randy Hart as the defensive line coach of the year by footballscoop.com is a further indication of their dominance. Led by Ben Gardner and Henry Anderson, they have averaged 4.31 sacks/game and 9.23 tackles for loss/game—both good for best in the nation. Moreover, they have only allowed 87.7 yards/game on the ground and 2.84 yards/carry. Even more impressive is the fact they held eight of their 13 opponents to under 100 rushing yards. While the Oregon offense has been one of the most explosive units in the country (the Wisconsin defense witnessed that first hand last year), the Stanford defensive line accumulated three sacks against the Ducks and ten tackles for loss. Stanford will be in great shape if they can keep in check Wisconsin's three-headed monster and by far the most intriguing matchup will be between the defensive line and Wisconsin's offensive line. However, senior defensive tackle Terrence Stephens was ruled ineligible for the Rose Bowl due to a secondary NCAA violation, which is a key loss in the middle. This group has been light-years above last year's productivity and has been able to get pressure on opposing quarterbacks on a consistent basis. Moreover, they have clogged the line of scrimmage for running backs due in large part to the variety of playmakers and depth at the position. In the B1G championship game, they were able to frustrate Taylor Martinez both through the air and on the ground, their lone breakdown on Martinez’s spectacular scramble for touchdown. However, they will have to play their best game of the year, as Taylor is a reckoning force and Hogan is an extremely accurate passer when he has time. Led by outside linebackers Trent Murphy and Chase Thomas, and outside linebackers A.J. Tarpley and Shayne Skov, this group has just been as impressive as their defensive line teammates. Skov leads the team with 73 total tackles to go with nine tackles for loss. Thomas is second on the team with 71 tackles but leads the team with 14.5 tackles for loss. Richards has registered 61 tackles and Tarpley is last among the unit with 61 tackles. If this group can slow the ground game and get pressure on Phillips, they should have their way with the Wisconsin offense. This group is extremely physical and fans should expect nothing less in Pasadena. The trio of Mike Taylor, Chris Borland and Ethan Armstrong have emerged as one of the best trio in the country. Despite the fact that Borland missed games due to injuries, Taylor and Armstrong picked up the slack and held the defense together in Borland's absence. Like their counterparts, this group is extremely physical (just look at Chris Borland) but possess speed to cover ground off the edges. If this group flies to the ball and able to handle the big Stanford tight ends, the defense will be in great shape. This unit—comprised of starting cornerbacks Terrence Brown and Alex Carter, and starting safeties Jordan Richards and Ed Reynolds—has had life easy in the secondary due in large part to Stanford’s monster front-seven. Despite that, this unit may still be one of the worst passing defenses that Wisconsin has faced thus far. They rank 83rd in passing defense and are 78th in completion percentage at 61.2%. On a positive note, they have only allowed 12 touchdown passes and intercepted opposing quarterbacks 14 times. With the pressure Stanford generates upfront, you would think this group would be better but they have held their own. Overall, they are the weak link of the Stanford defense. Believe it or not, this group has been the staple of a much-improved defense from a year ago. Under the direction of Chris Ash, Devin Smith has played NFL-caliber football en route to second-team all Big Ten honors and has caused havoc with a multitude of pass deflections. The emergence of Dezmen Southward has also been a pleasant surprise. While this group will not be tested due to the lack of skill at the wide receiver position, they will still have to be on their game as Hogan can be dangerous at times with his arm. The secondary's weakest link is Marcus Cromartie—though he is improving—so don't be surprised if Hogan exploits his side of the field early and often. Kicker Jordan Williamson has been very inconsistent this year, converting on only 15/25 of his field goals but does have a long of 48. On the flip side, punter Daniel Zychlinski has been impressive, as he has averaged 42.9 yards/punt and placed 24-of-60 punts inside the 20. Terrell has been very dangerous in the punt-return game and had a 76-yard punt return touchdown to add to his resume. If this game is close, I would give the advantage to this group, as Williamson has experience in late-game situations (see game-winning kick against Oregon). With Kyle French's wide inconsistency and three-straight missed field goals, Wisconsin will go with true freshman kicker Jack Russell, who may not even be the better option as he has missed both field goals he has attempted and put the team at a disadvantage against Nebraska in Lincoln. Without a doubt this is not an ideal situation to make a change at a big position - especially starting a freshman -but you have to have trust what Alvarez is doing. Punter Drew Meyer has been pretty steady all year for the most part but did have a rough outing against the Buckeyes, allowing a punt-return for a touchdown that changed the momentum of the game. Abbrederis is an explosive threat in the punt-return game and will be interesting to see if he is used in the kick-return game as well. In pressure situations, both kickers have not rose to the occasion and could be the difference in this game. It is extremely hard to go against Wisconsin with coach Alvarez back on the sidelines but adrenaline can only take you so far. While the Badgers will be playing inspired to keep Alvarez's unblemished Rose Bowl record intact, the Stanford front-seven will be too much to handle for Curt Phillips and Hogan will make enough plays to lead the Cardinal to victory. Posted in Past Seasons and tagged with Barry Alvarez, Chris Borland, Jack Russell, Marcus Cromartie, Drew Meyer, Dezmen Southward, Montee Ball, Joel Stave, Bart Miller, Devin Smith, Jacob Pedersen, Mike Taylor, David Gilbert, Jared Abbrederis, Curt Phillips, Ethan Armstrong, Beau Allen, James White, Kyle French, Melvin Gordon. December 31, 2012 by Buckaround.